When Should I Get My Transmission Serviced For My Mercedes-Benz? The transmission is one of the most integral and complex parts of your vehicle. The transmission contains multiple complex hydraulic systems that transfer energy to your car to make it move. Many of the newer transmission systems include computerized systems to help with front wheel drive. The computerized systems make fixing any transmission issues quite difficult. It’s important to take your vehicle into an automotive repair shop for regular tune-ups to ensure that your transmission is working efficiently. Indicator Light Comes on. If your engine or transmission light comes on, this may mean that your engine is too hot. When your warning lights activate, make sure to check the transmission fluid and engine coolant levels. Listen to what sounds your car is making. Commonly, when you hear a whining, buzzing, or humming noise accompanied with feeling the car shift as you speed up can mean that you are experience a transmission issue. Check your transmission fluid. When you’re checking your transmission or engine coolant levels, insert dipstick, pull it out and wipe clean. Then examine where the level of fluid is on the dipstick. To ensure an accurate reading, repeat process and examine once more. If the fluid level is not between the markers “full” and “add,” you may need more fluid. If you’ve experience any of the warning signs listed above, you should take your vehicle into a repair shop. A professional mechanic can assess the issues with your vehicle. 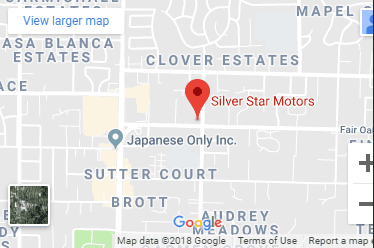 Silver Star Motors is the Sacramento area’s oldest and most experienced full-service automotive repair and service center for manual transmission Mercedes Benz automobiles. Our technicians are trained and experienced in Mercedes-Benz maintenance and service. Contact us today at (916) 318-9445 to schedule a maintenance appointment.